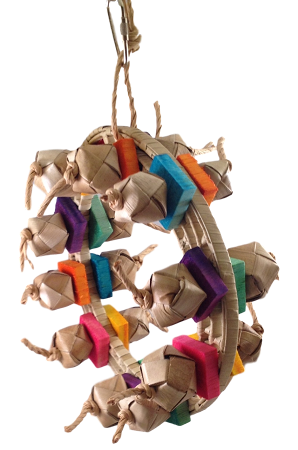 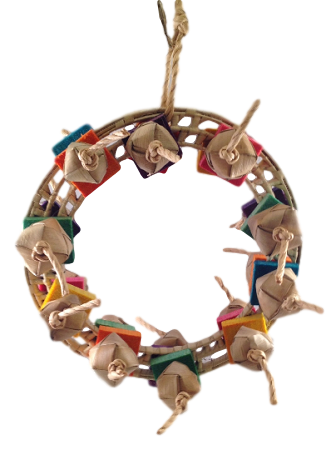 A 6.5" custom palm ring full of palm pom poms, and balsa squarz. 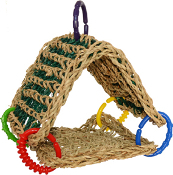 Great as a swing or chew toy for a small to medium sized bird. 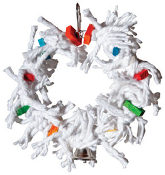 Supreme Cotton Wreath - 8"